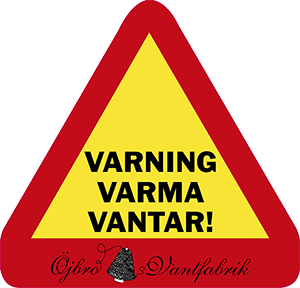 Öjbro Vantfabrik is a Swedish design company with a passion for passing on our knitting traditions. We derive our inspiration from our incredible wildlife and landscape with all its variations. We love to add to the treasure chest of Nordic patterns with our own interpretations. We use patterns and a colour palette on our mittens that evoke a Nordic spirit. All of our patterns have a history, and they all begin in our mittens which we knit with pure new wool and line with modern linings to achieve the highest possible degree of comfort and function. On request, we have even knitted matching socks for our beloved mittens. We knit our wool socks with the same patterns as our mittens, but with a slightly longer leg so that the pattern can truly be appreciated. We also adorn various consumer goods with our patterns. We are now also starting to produce thinner merino wool socks. Welcome to Öjbro Vantfabrik’s magical world of patterns. Swedish design with a storytelling soul – discover our exuberant, creative range of warm mittens and socks. Where every pattern has a history. Öjbro Vantfabrik’s mittens are distinguished by the various blends of patterns in spirit-lifting colours. Besides their unique designs, they are also functional and suit anyone of any age. With Öjbro Vantfabrik’s warm mittens and cosy socks, you can look forward to a pleasant and enjoyable time. Öjbro Vantfabrik loves to create “Slow Fashion” goods – both in design and quality. We believe that it is essentially a question of quality v. quantity, and that quality goods deserve good care. So we have made this film that shows how you can easily repair your beloved mittens. Slow-Fashion is not about you no longer going shopping or consuming, nor is it about you relinquishing beautiful things in exchange for something a bit boring. Slow Fashion is all about reflection and priorities instead. It’s a point of view towards fashion where afterthought and awareness are in focus. Quite simply, it’s all about fashion at its best. Read more about Slow Fashion here. Follow Öjbro Vantfabrik on Instagram!